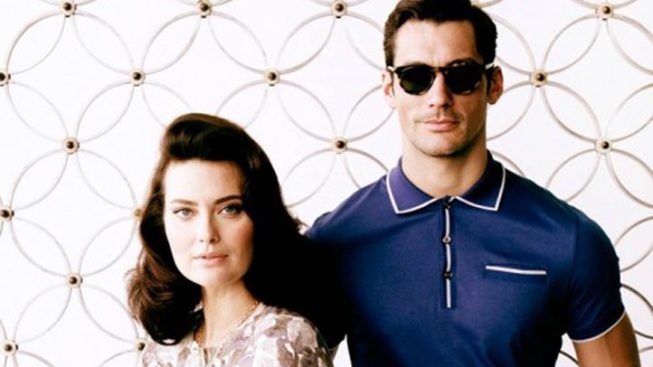 A first look at Banana Republic's second "Mad Men" campaign. For those shoppers that loved the trim cardigans, pearl necklaces, and fitted shift dresses that flooded the racks at Banana Republic stores last season, good news: The retailer is bringing its "Mad Men" collection back for a second go-around. For spring, the inspiration is '60s-era country club, packed with fitted floral dresses for the ladies and bright polos for the guys. The preppy vibe of the collection will also extend into pink and coral hues, as well as classic navy blazers. The collection hits stores on March 1, meaning fans of the show will have plenty of time to snap up the goods before "Mad Men" comes back to the small screen on March 25 on AMC.